Here's Chef Erik's omelet with ham, tomatoes, mushrooms, spring onions, cheese and the egg made perfectly fluffy with moderate heat partnered with the perfect mixing using a spatula. No salt and other spices needed. 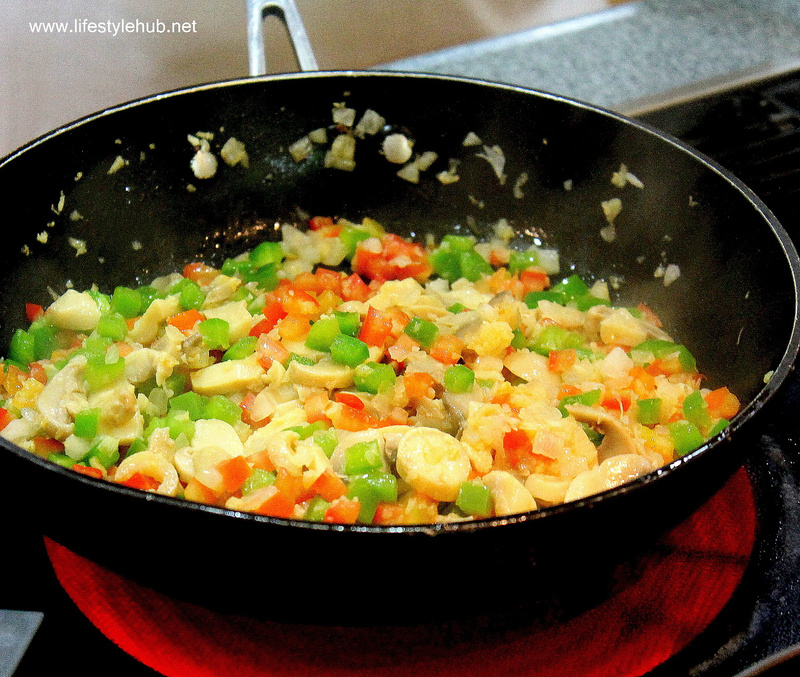 Just 4 grams of Maggi Magic Sarap and this dish is ready to provide you a humble but tasty meal. With fine dining restaurants sprouting in wherever in Metro Manila, our standards of the sumptuous soared high. While in a posh restaurant, would you care for a humble serving of the simplest omelet? 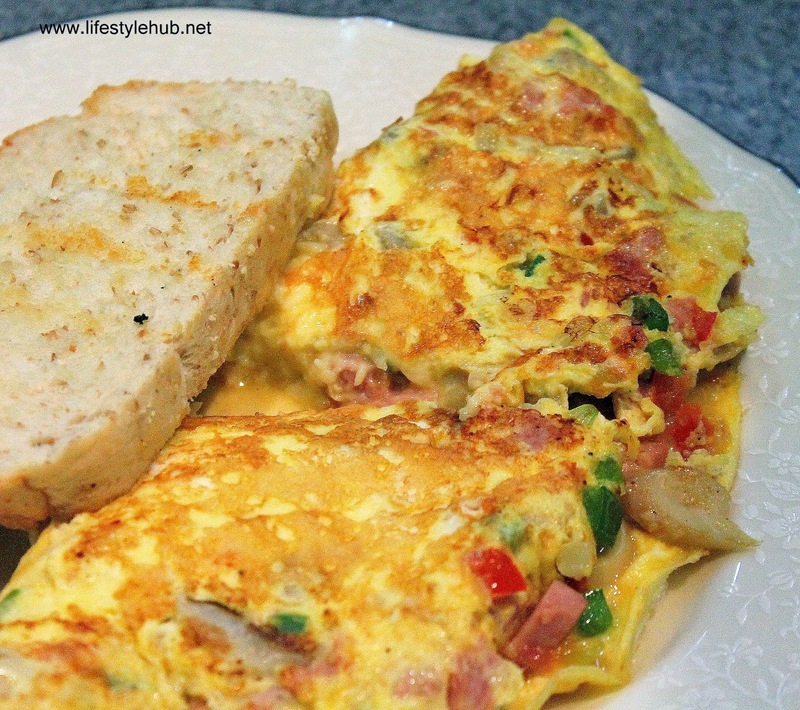 Omelet or omelette is a dish made from beaten eggs quickly cooked with butter or oil in a frying pan, sometimes folded around a filling such as cheese, vegetables and meat. We see a lot of omelet-based recipes on luxurious menus though but these dishes are made sophisticated. Let's say a really pretty Omurice (fried rice rolled with omelet) or a Tamagoyaki (a Japanese omelet served and shaped like sushi). 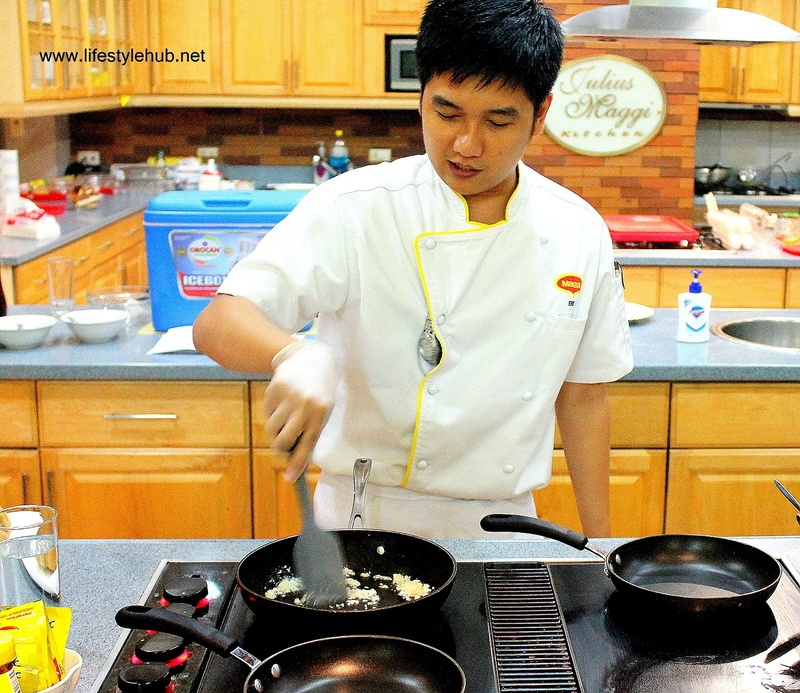 For Maggi's resident chef Erik Magtanong, we don't need to go overboard in understanding how different is an omelet with salt to another version which is made savoury by Maggi Magic Sarap. To get an unbiased taste battle, we need to go back to the basics. Chef Erik is cooking the Frittata or the Italian cake which also requires the cooking the perfect omelet. On moderate heat, our desired omelet texture can be achieved by evenly mixing the egg in a scraping manner using the spatula. This way, heat is evenly distributed and all parts are cooked at the same time. The omelet filling: mushrooms, tomatoes, spring onions, garlic, cheese and ham. 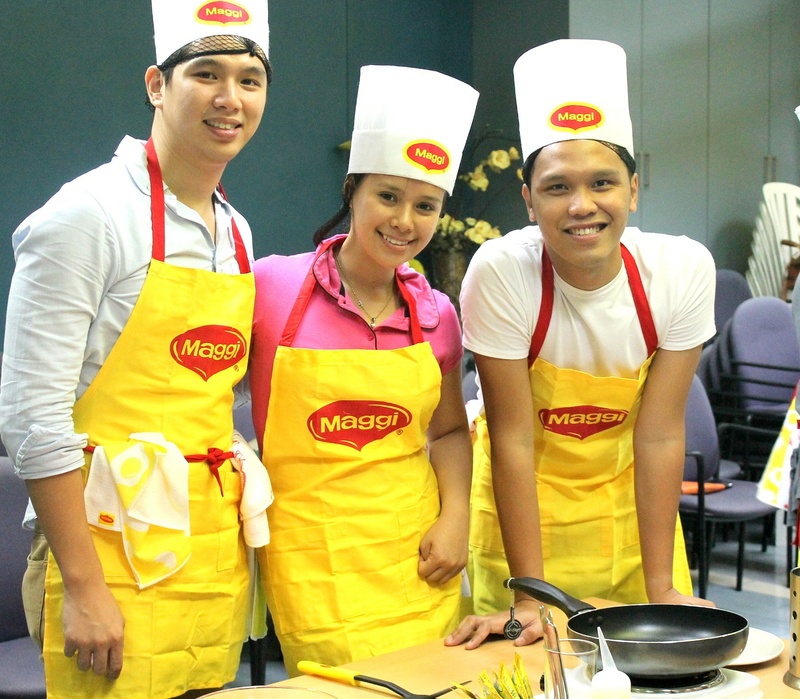 And so Maggi invited us to the Julius Maggi Kitchen in Nestle Center in Rockwell for a three-dish demonstration of how superior Magic Sarap is over salt and the deadly vetsin (MSG, Monosodium glutamate) combined. First, he made us prepare the timeless sunny side up following how we normally do it at home. After awhile, he made his version using Maggi Magic Sarap. We tasted both and the bloggers were unanimous in saying that the perfect saltiness and subtle sweetness can be achieved easily by using Maggi's Magic Sarap. 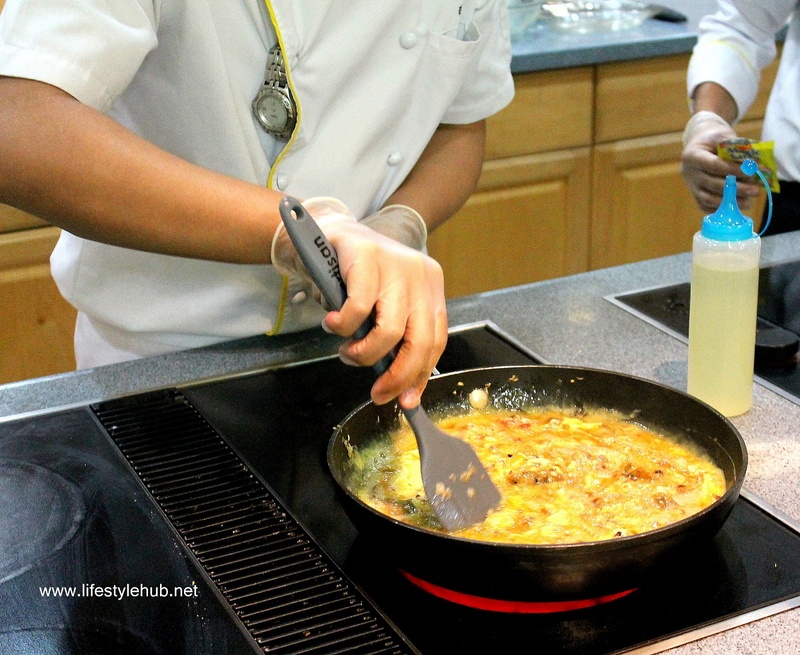 Next, Chef Erik taught us how to properly cook the scrambled egg and the omelet. He also exhibited a complicated egg-based recipe, the Frittata or the Italian egg cake. Everything seems to appear easy for Chef Erik since he said taste wouldn't be a challenge with Magic Sarap around. He also shared a perfect formula. A pack of 8 grams of Magic Sarap can provide the perfect taste to 12 pieces of eggs. If we prepare 6 eggs, we only need half of the pack. It's also best if we add it after we break the egg and pour it in a bowl, not while we are already cooking it on a pan. With recipes also published at the back of the Maggi Magic Sarap pack, are you in the mood to cook and eat an adulterated omelet? 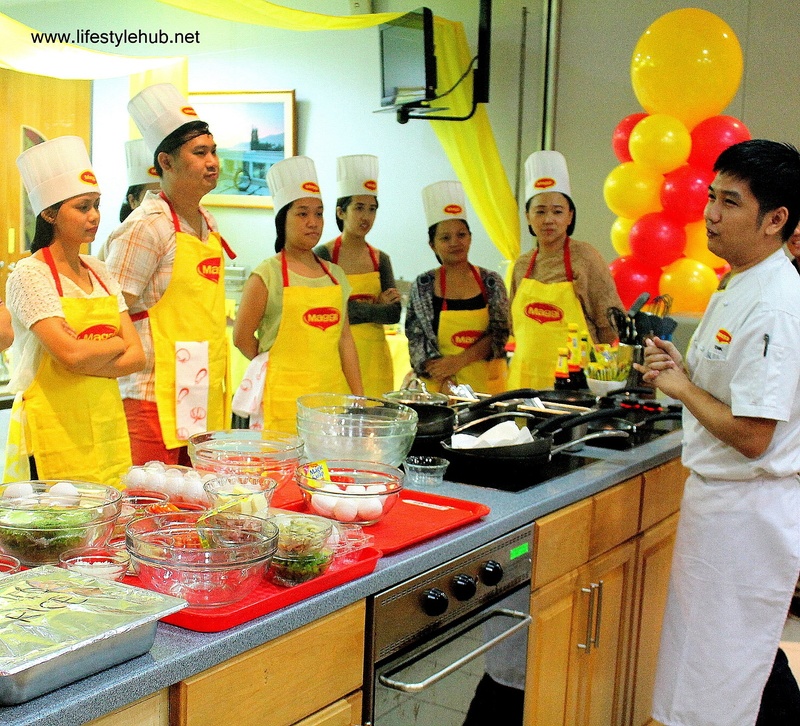 With the bloggers from The Food Scout and The Lifestyle Hub occupying cooking station 3.